Meet Computer Science Graduate Student Craig Olson! Q: Why did you decide to come to UNO? What opportunities here did you see helping you with your future career? I went to high school in Lincoln and I was looking to continue my education at a nearby university that would help me prepare professionally, personally, and financially for my future career. I was fortunate to discover the Walter Scott Jr. Scholarship at UNO and I was impressed by the program’s focus on leadership development and community service. I started looking into UNO a bit more and took a campus visit. I was blown away by UNO’s campus plans for development, such as Baxter Arena, Scott Crossing and Maverick Landing, renovating the Milo Bail Student Center, and creating more classrooms. 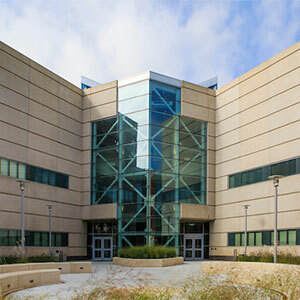 UNO showed that it was dedicated to growth and university improvement. I decided that it would be an exciting time to be a Mav and the Scott Scholarship was an opportunity that I couldn’t pass up. 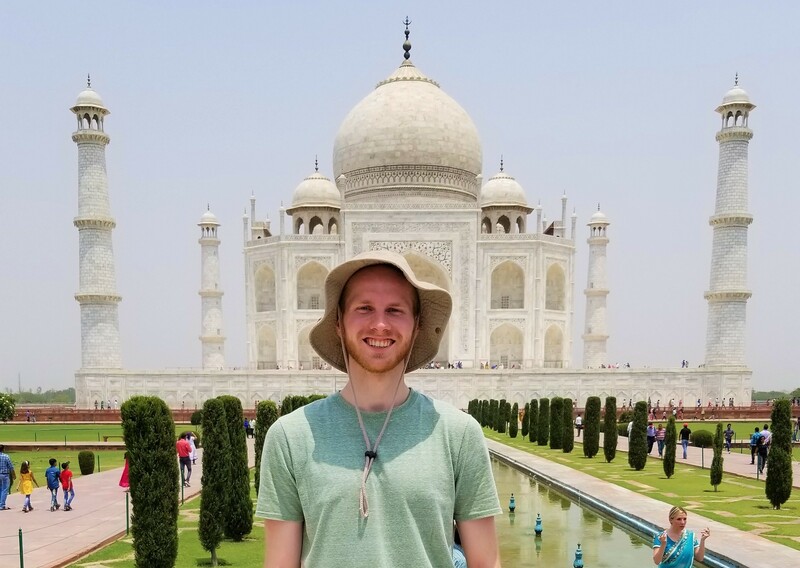 Throughout the four years of earning my bachelor’s degree, some of the best opportunities that I took advantage of were the various Study Abroad programs available through UNO. I was part of a faculty-led Study Abroad program the summer following my sophomore year that was a history course on the Italian Renaissance. Not only was I able to use this history course to fulfill an elective requirement, but I was able to spend four weeks sightseeing throughout Italy in beautiful summer weather. I also participated in a College of IS&T-focused faculty-led program to India, where we stayed at Bennett University outside New Delhi and we were able to meet the students and learn about the college experience on the other side of the world. Through the assistance and guidance of UNO faculty and advisors, I was also selected to be one of twenty students from American universities to participate in Huawei’s (a Chinese telecommunications giant) first US Seeds for the Future program in which I spent time in Beijing and Shenzhen learning about the Chinese culture and the company. These Study Abroad opportunities were eye-opening experiences and the connections that I made around the globe had a major impact on my career goals. Q: What about your major drew you in? Why were you passionate about it, vs. the other majors out there? Computer Science drew me in because I love the ever-increasing impact computers have on our lives and I wanted to be involved with shaping the future. Advancements in technology have major influences on everyone’s lives through services (like ecommerce, search engines, mobile apps) and the proliferation of devices (like cell phones, tablets, laptops, e-readers, and other smart devices). There are endless opportunities in Computer Science to develop products like these that will shape the future. Throughout my study abroad opportunities and other travels at UNO, I have thoroughly enjoyed seeing how advancements in computer science and software engineering are impacting the way people live around the globe, and I’m excited to be in a field where I can contribute to these advancements. Q: What class did you love the most, and did you have a professor that you learned a lot from? It’s hard to choose one that I loved the most because I thought that there were several that were interesting and very applicable. One of my favorites is Data Structures because the course covered some of the intricacies of designing algorithms to solve computer science problems in an efficient manner. Another favorite of mine was Graph Theory because it taught how graph problems, like path-finding and connectivity, can be used to solve problems in numerous domains. Both classes were definitely challenging, but I considered them to be worth the extra work since I found the topics to be valuable. The professors that taught the classes, Dr. Dasgupta and Dr. Ali, were very knowledgeable and provided helpful examples to supplement the lectures. Q: What challenges have you faced in your career? What advice would you give someone looking to make the same transitions you have? One of the biggest challenges I’ve faced over my career has been forcing myself out of my comfort zone. Entering college at the start of my freshman year, I liked to play things safe and stay inside my personal bubble. I soon discovered there’s a whole world of opportunities out there, but I’d need to get out of my comfort zone to take advantage of them. I started applying for programs and internships outside of Nebraska and for positions that I knew would be difficult to get. I worked hard to put myself in the best possible position to succeed and wasn’t afraid of the possibility of failure or denial. There were times when things didn’t work out, but this strategy also led to eye-opening experiences around the world and incredible internships in Seattle and Lincoln with Amazon and Spreetail. Therefore, my advice to someone looking to make the same transitions as I is to never be afraid of failure or to get out of your comfort zone. Apply for those positions that you’re not sure if you’re qualified for. Travel to those countries that you never considered in the past. Talk with your professor to do research in an area that you’d like to learn more about. Even if things don’t go as you’d like, the bumps in the road provide incredible learning experiences and help you better prepare for success the next time around. Q: What do you do for fun in your free time? I try to stay active in my free time (depending on how much free time I find in my schedule). I like to play basketball with friends on a weekly basis, go frisbee golfing and biking when the weather allows, and participate in intramural soccer and basketball at UNO. When I’m not being active, I enjoy hanging out with my friends watching sporting events (particularly soccer), movies, and playing board games or some FIFA. One of my favorite hobbies on longer school breaks is to travel and experience somewhere new. Q: Anything else you’d like us to know about you? I’d just like to give a shout-out to Walter Scott Jr. for his support at UNO and Scott Campus, and to the Scott Scholarship program and program manager Leah Ellis for the incredible opportunity that the program provides. Mr. Scott’s outreach and service has been an amazing example of giving back to the local community to support the community’s success, and I hope to follow this example in the future.